If Republicans nuke the filibuster for Supreme Court nominees, they have more to lose than Democrats do. Senate Democrats must filibuster Neil Gorsuch’s nomination to the Supreme Court. Here’s why: First, it’s a stolen seat—Republicans kept it open for over a year without even holding hearings on Obama’s nominee. Second, letting a president whose legitimacy is in question take it without a fight would validate the GOP’s disdain for the norms have made our government functional. Third, the Democratic base is demanding it. But most importantly, Democrats should block Gorsuch because they have nothing to lose but an undemocratic remnant of a bygone era known as the filibuster. And while the filibuster protects the minority, in the long run, it’s more likely to benefit Republicans than Democrats. The hazard in blocking Gorsuch is that Senate Majority Leader Mitch McConnell vowed that he would kill the filibuster for Supreme Court nominees if Democrats go that route. He may or may not have the votes, but Democrats should call his bluff because making the Senate more democratic isn’t a bad thing. Most people believe the filibuster was intended by the founders to slow the upper body’s deliberative process and give the minority more rights than it enjoys in the House. The classic formulation is that the House is supposed to be the legislature’s gas pedal, and the Senate is its brakes. But Georgetown political scientist Sarah Binder says that none of that is true. Senators do enjoy longer terms than members of the House in part to insulate them from public passions, but the filibuster was born of an error—it was an unintended consequence of an 1805 effort by then–Vice President Aaron Burr, freshly indicted for killing Alexander Hamilton in a duel, to streamline the body’s rules. (It’s somewhat ironic given that the “reform” resulted in a legislative body that’s often unable to legislate.) And although that rule change made filibusters possible, the Senate mostly operated according to majority rule through the first half of the 19th century. But in a rare bout of reform in 1917, the Senate finally enacted cloture, which allows a super-majority to cut off debate and end a filibuster—the origin of what’s often described as today’s “60-vote threshold.” (This means that lawmakers need not actually hold the floor reading from the phone book to filibuster like they do in the movies.) But it only became routine for legislation to require 60 votes in recent years. As the graphic from Talking Points Memo below shows, prior to the 1970s, filibusters were very rare—they typically numbered in the single digits in each Congress. Over the next three decades, their use increased, but they were still rare enough for the body to function. 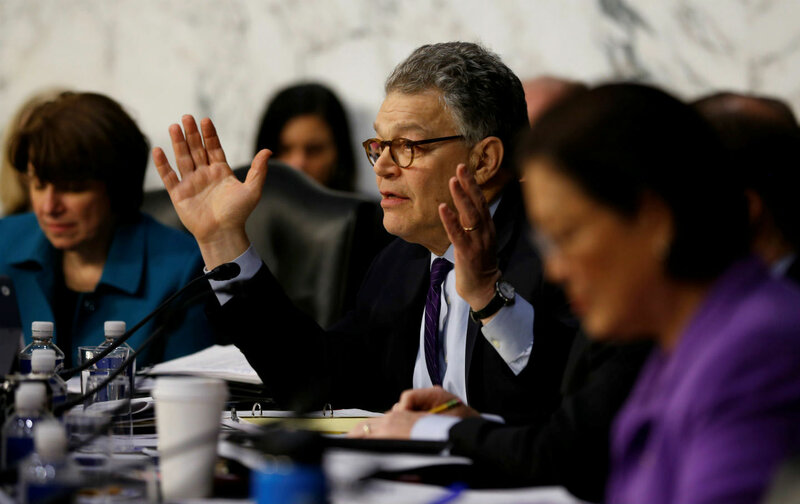 It was only in recent years that they’ve become routine, and made the “world’s greatest deliberative body” largely dysfunctional. The conventional wisdom holds that if Democrats filibuster Gorsuch, Senate Majority Leader Mitch McConnell will eliminate the filibuster for Supreme Court appointments as Democrats did for lower-court nominees when faced with Republicans’ unprecedented obstruction of Barack Obama’s nominees. In this story, Democrats would be better off “keeping their powder dry” and letting Gorsuch take the seat held by conservative Justice Antonin Scalia in case one of the Court’s elderly liberals retires or dies before the next Democratic presidency. It’s an incoherent argument given the certainty that Republicans would be just as eager to kill the filibuster for SCOTUS nominees to replace a liberal justice with a conservative, if not more so. They’d just pocket Gorsuch now, and if a seat held by Ruth Bader Ginsberg or Stephen Breyer becomes free, they’d kill the filibuster then. There’s also no guarantee that Mitch McConnell would have 51 votes to kill the filibuster for Gorsuch. While there’s no doubt that it benefits the Dems now, with Republicans holding unified control of government, over the long term, it will likely be Republicans who end up losing out if the filibuster is killed for Supreme Court nominations. The Democrats have won the popular vote in six of the past seven presidential elections, and the GOP will continue to face demographic headwinds in national races for the foreseeable future. In the Senate, small red states have equal representation to big blue ones, and this means that at any point in the immediate future, the GOP is more likely to have 41 votes in the Senate than they are to hold the White House. If Republicans want to make an undemocratic body more responsive to the public, then Democrats should let them pull that trigger and deal with the consequences when they’re in the minority and a Democratic president is picking the nominee. Earlier this week, when Vermont Senator Pat Leahy announced that he wouldn’t join a filibuster against Gorsuch’s nomination, conservative legal scholar Randy Barnett of Georgetown wondered whether seven of his Democratic colleagues would also “buck their base to save filibuster?” But we’re at a moment in time when “bucking their base” would be political suicide for the Dems. As a result of gerrymandering and the inefficient distribution of Democratic voters, the party needs to win the popular vote by about eight points to have a chance of taking the House in 2018. Democratic constituencies tend to sit out non-presidential cycles. So the same energized base that’s led the resistance to Trump thus far is the Dems’ best hope of breaking that pattern—they have to harness on all that activism to stand any chance. As such, and any suggestion that they should “buck their base” going into the next cycle should be seen as a recipe for certain defeat and dismissed as a nonstarter. Finally, the White House and Congressional Republicans are currently on the ropes, reeling from the defeat of Paul Ryan’s awful health-care plan, and Politico reports that they’re “desperate for a win on Gorsuch.” Democrats shouldn’t give it to them without a fight. As the minority party, it’s probably not possible to keep that seat open until a legitimately elected president takes office, but sending them back to the drawing board for another nominee—and demanding someone more moderate than Gorsuch—would eat up more of the legislative calendar and further weaken an already unpopular president. Mitch McConnell was OK with an eight-justice Supreme Court for the past 14 months, and Republicans vowed to keep it that way by blocking Hillary Clinton’s nominee if she had won. They created the precedent, and Democrats would be foolish to “buck their base” and not follow the GOP’s lead.